TOKYO (AFP) – The euro fell against other major currencies in Asia on Thursday after a short-lived rally on intervention rumours amid persistent concerns over eurozone debts, analysts said. The euro was quoted at 1.2327 dollars in Tokyo afternoon trade after the single currency rallied to 1.2408 dollars in New York late Wednesday. However, it held off from the four-year lows below 1.22 it hit earlier Wednesday. It also fell to 112.92 yen from 113.90. The dollar was at 91.39 yen, down from 91.70 yen in New York. The euro staged its strongest rally since the beginning of the year in New York on Wednesday following rumours of intervention by the European Central Bank. There was also speculation the US and British central banks may also be drawn on to shore up the single currency. However, "I don't think the ECB wants to intervene at this level", said Mizuho Corporate Bank market economist Daisuke Karakama. "It would bring few benefits... If the euro falls further, it would be better for Greece as crisis-hit countries in the past have seen their currencies fall and exports rise," he said. Not only Greece but Spain, Portugal and even Germany would be happy with a weak euro, barring drastic falls such as below dollar parity, he said. "I think that intervention would really be a last resort for the ECB," as it may implicitly accept the lower euro for now as a benefit to export-dependent eurozone economies," a director at Canadian bank in Japan told Dow Jones Newswires. 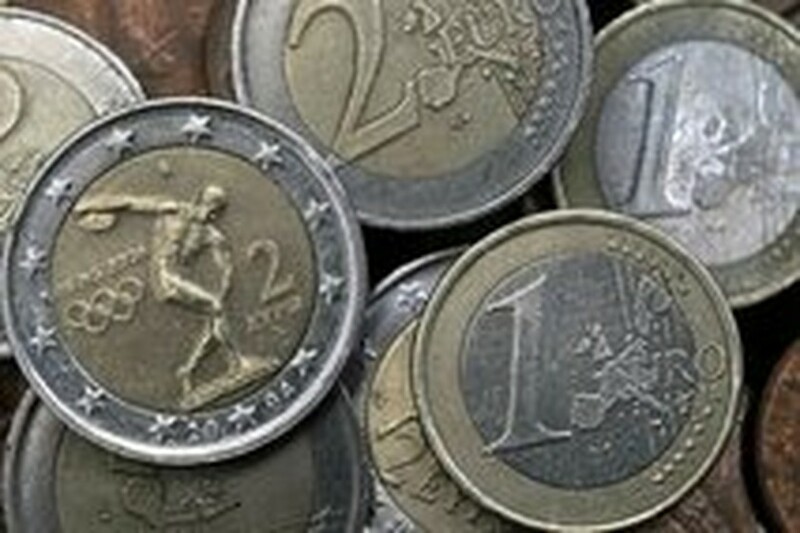 Markets remain concerned despite a near trillion-dollar package to prevent Greece's debt troubles spreading to the rest of Europe. Dealers took in their stride Japanese data showing the economy surged in January-March, marking the fourth straight quarter of expansion as the country's export-driven recovery gathers pace. The dollar was mostly higher against regional Asian currencies. The greenback rose to 1,195.90 South Korean won from 1,166.50, to 1.4046 Singapore dollars from 1.3985 and to 45.92 Philippine pesos from 45.56. It also went up to 9,215 Indonesian rupiah from 9,105 and to 32.42 Thai baht from 32.40. It was unchanged at 32.05 Taiwan dollars.